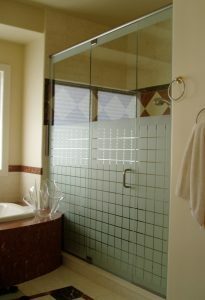 Opening in 1977, GlassWorks has become one of the leading providers for glass shower doors in Buffalo Grove, Illinois. We offer a large selection of shower doors to ensure that our clients will be able to choose a look they desire. Have one of our professional installers add a brand-new set of glass doors to your bathroom today! 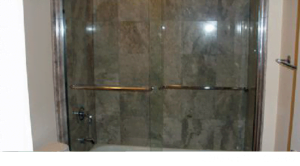 Below are various glass shower doors we provide. 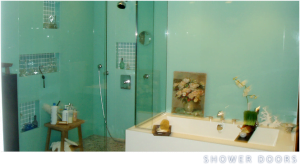 Frameless glass shower doors are GlassWorks’ most well-liked kind of glass shower doors. Frameless Shower Enclosures are required by our customers because they have a clean and streamlined look, an incredible spa feel, and are easy to maintain and clean. Our professionals will work with you to supply a design and layout that maximizes the look and functionality of your whole bathroom. Since we have over 35 years of experience, we are able to provide impressive ideas and touches others will never take into consideration. GlassWorks’ Neo-Angle Glass Shower doors include personality, while conserving space in sleek bathroom layouts. Since of the complexity involved, GlassWorks is a sector leader in making, engineering and setting up neo-angle glass shower doors for our customers. Like our frameless glass shower doors, we begin by examining your space at home. Our design professional will certainly collaborate with you to supply a style and format that takes full advantage of the look and capability of your entire bathroom. We can supply style ideas and dramatic touches others simply never ever think about since of our proficiency. GlassWorks’ Steam Enclosures produce a day spa experience in your own house by taking your shower experience to a whole brand-new level. At GlassWorks, we have actually developed ingenious styles to optimize the steam shower experience. As component of our layout process, we will use our encounter to give you with the most cutting-edge and expert glass steam shower enclosures. Splash Panels and Shower Shields offer an unique alternative to standard bath enclosures and doors. These doorless units supply an open, minimalist style for your bath or tub and can be pre-owneded to liberate room while still supplying a significant bath encounter. GlassWorks’ splash panels and shower shields can be found in bi-fold and fixed panel layouts. Our corrected panel provides one immobile splash guard, while the bi-fold splash panel design provides one fixed panel and a second one that could fold out of the means to permit simple access to the tap. GlassWorks’ framed glass shower doors add to a striking style and level of finish that you will enjoy in your house for years ahead. We collaborate with designers, designers and artisans to follow up with layouts that establish our job apart in a Framed Shower Enclosure application. GlassWorks has revolutionized the traditional sliding glass shower doors by supplying innovative “all-glass” frameless appearances and the latest hardware. Hydro-slide equipment virtually doing away with any sort of noticeable equipment and permitting the use of 3/8″ thick glass. Serenity and pipeline layouts supplying impressive exposed wheels and tracks. Curved moving glass walls that cover the bath enclosure. Let us demonstrate how we can make our Sliding Doors the most spoken regarding components in your house. Every one of our showers is customized made, some shower doors are special sufficient to call for positioning in the GlassWorks– Truly Custom Category. If you are trying to find something genuinely one-of-a-kind, our layout specialists will make your goal a truth. for your custom glass shower doors.